Rayner is a Partner and Head of the Birmingham Family Team. She has nearly 20 years’ experience of practising in all areas of family law having undertaken her training at specialist family law firm Blair Allison but in particular she specialises in dealing with high value complex financial matters as a result of divorce or relationship breakdown. Legal 500 2015 ranked the Birmingham team as leaders in their field and recognised Rayner’s “expertise in divorce cases involving cross border elements and complex pension assets”. She also has expertise in advising on matrimonial agreements including pre nuptial and post nuptial agreements. She acts for a wide range of clients but has had particular involvement with proceedings which have involved family businesses, partnerships and clients from the entertainment and sports world. Chambers and Partners 2016 described her as “absolutely excellent; fantastic with clients and very reassuring”. Rayner aims for a high level of client service and focuses on resolving matters pragmatically and swiftly to achieve a resolution that is tailored to the individual needs of the client. Rayner is a member of a specialist Resolution Working Party and an accredited Family Law Panel member. She is also a regular media contributor having provided comment for Radio 5 Live as well as local and professional publications. Advising on pre-nuptial and post-nuptial agreements concentrating in particular on the protection family business. Has advised on complex financial claims on behalf of children under Schedule 1 of the Children Act 1989. She deals with disputes regarding arrangements for children on separation, including International relocation. 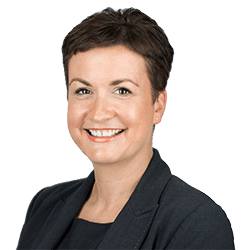 She regularly advises on protection of pension assets, particularly to clients in the public sector including NHS, Police, and Fire Service to include cases involving top ranking executives and officers. Dealt with complex inherited family wealth which involved a significant trust element. She has represented clients internationally including representation of Dubai, French, USA and Singapore residents. A number of her cases have involved personalities from the sports and entertainment world.